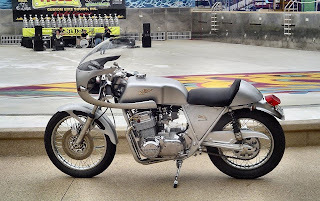 I have seen this pic of the cb750 with the hottie in bikini many times. Hard to forget that beautiful body… and the girl looks alright as well. Found out this bike was recently on ebay and was sold by kgcycles. Went to their website and they have some sweet looking bikes. 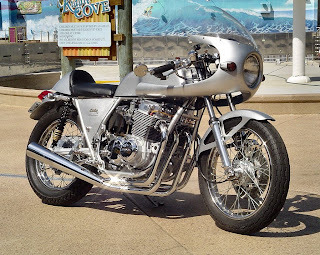 This cb750 is one of the best I have seen. Would love to know how much it went for, if anyone knows can they let me know?